Remote operation possible with CW key and PTT via the E-Coder panel, and RX and TX audio via PC. The ExpertSDR2 software package is used to control the SDR transceiver. 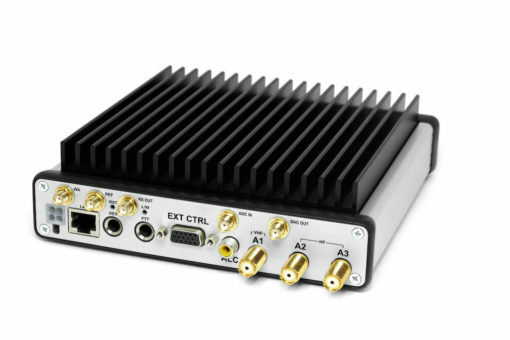 In receiving mode the software provides two independent receiving channels with up to 312 kHz bandwidth. 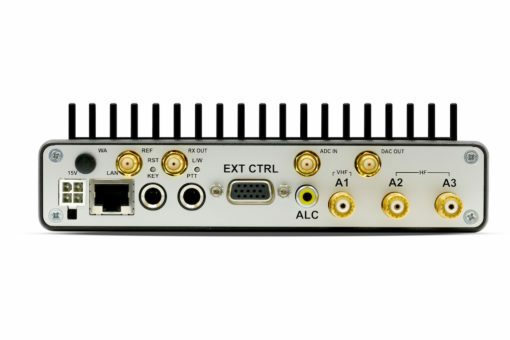 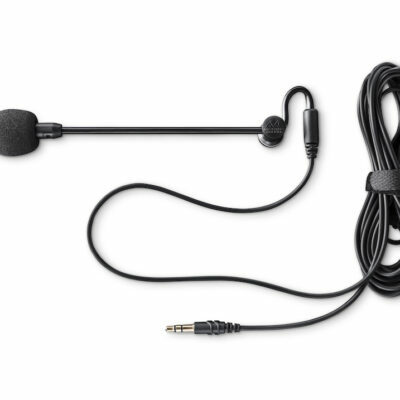 Each receiver has its own sub receiver. 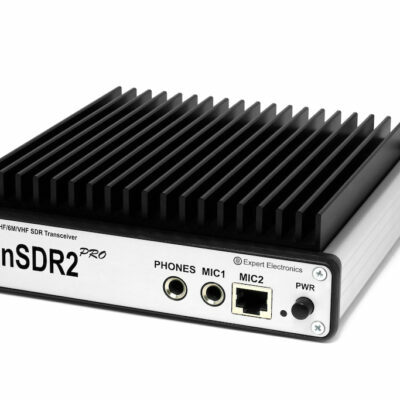 ExpertSDR2 runs under Windows XP/7/8/10 x32 or x64 and Linux Ubuntu x64. 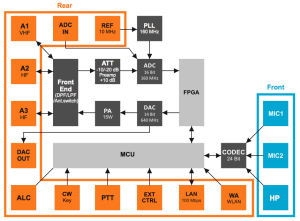 Minimum hardware requirement are an Intel Core i3, video card supporting OpenGL 1.5 and RAM 256 or more RAM. 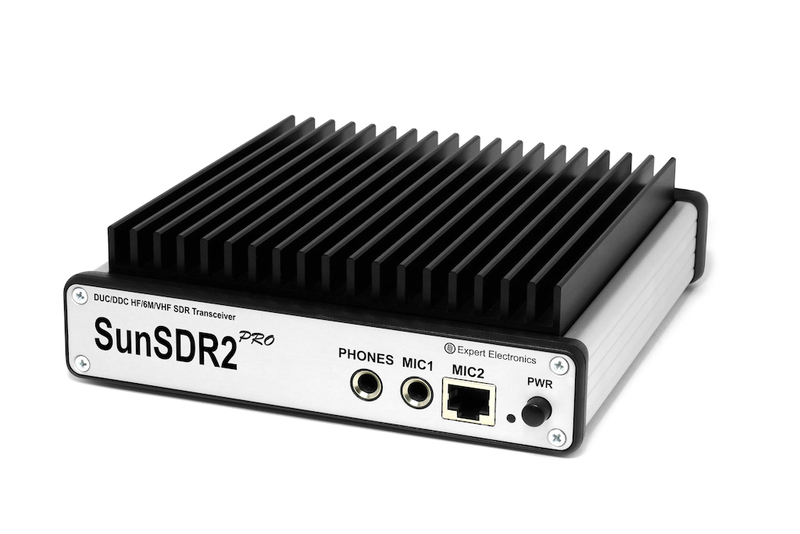 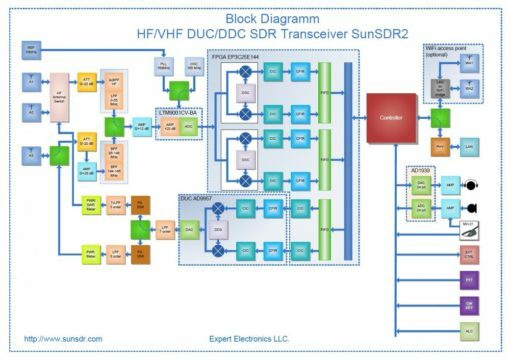 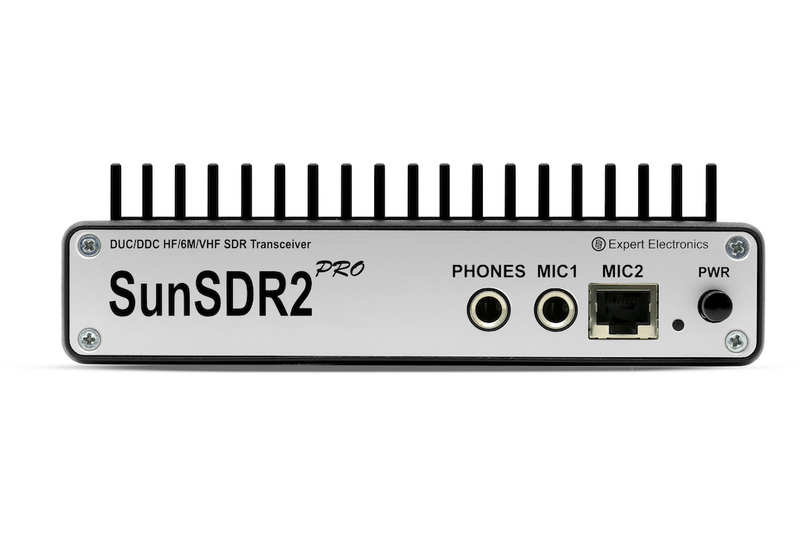 The SunSDR2pro transceiver can be delivered with an optional WiFi unit. 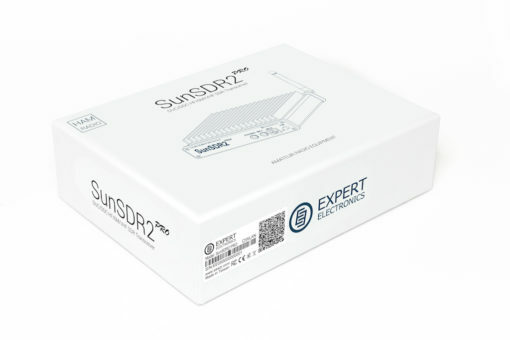 SunSDR2 PRO is available for delivery from stock.